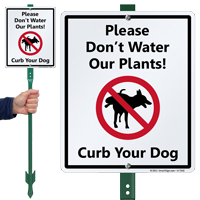 Add some humor to your pet waste sign. 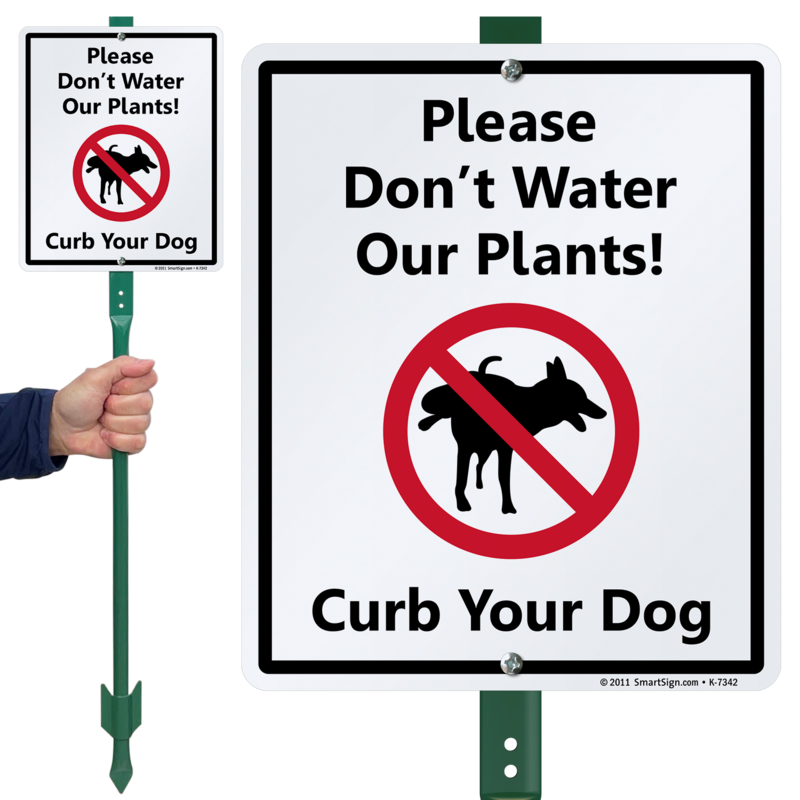 Use this sign to show pet owners that you don't want them on your grass but you have a good attitude about it. Love Dogs, just not their ??? My husband just put them out can't wait to see the neighbors reaction. Shipment arrived very quickly and the signs are just what I thought they would be. Highly recommend! Great sign. Appears to be making the point. The only improvement I recommend is to include mounting screws as part of the deal. Had to scurry around and find some. I placed this on the corner of our property where dogs frequently pee and have killed several plants. The neighbors think it's funny! I just hope no one steals it!